His Works United (HWU) is a broad and powerful ecumenical collaboration of African American churches partnering beyond the walls of their worship centers to bring light and hope to the community. In the quest to build community among African American people there is one central strategy that presents itself, by virtue of unique history of Africans in America. While other groups had many institutional pillars upon which to lean, African Americans came to embrace the church as the refuge from the storm and launching pad for progress from education to wealth development. Because of an unprecedented role in community well being historically, and because of the truth that from store fronts to cathedrals churches dot every nook and cranny of our neighborhoods, the potential of centering a community building strategy in the rich soil of African American churches is undeniable. We believe that a viable ecumenical collaboration of African American churches can be intentionally developed into a social infrastructure capable of advancing the community agenda in any area of aspiration or need. 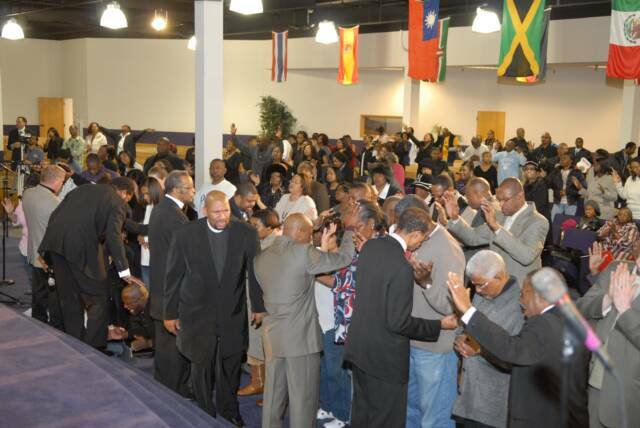 To that end Stairstep has been facilitating the coming together of African American pastors monthly since 1995. This gathering of church leaders is called His Works United and several specific program initiatives have and will be birthed from this platform. Too often individuals and families in our community stuggle because they are not connected to resources for assistance until some major drama occurs. With the drama, family disruption and long-term institutional involvement result. African-American churches have always served critical needs of our people, but finances and staffing have been thinner than required to adequately accomplish the task. 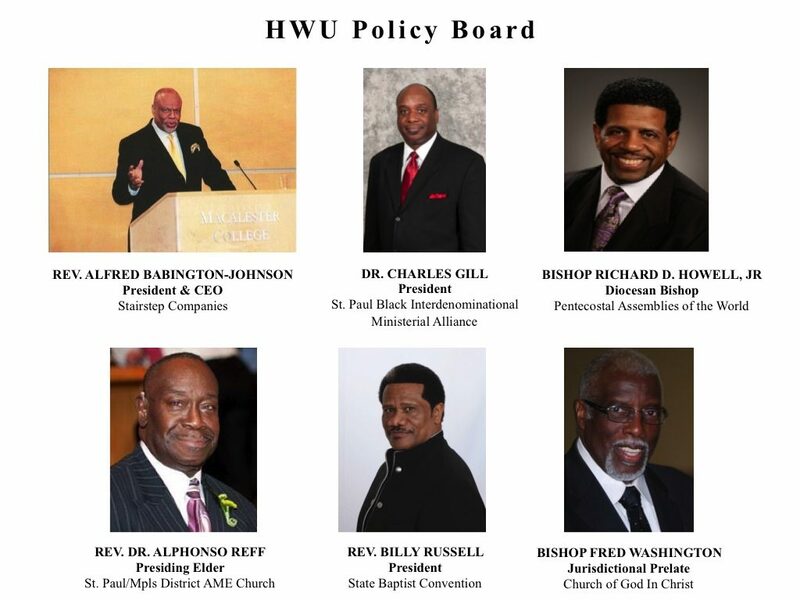 The Minnesota State Baptist Convention, the Minnesota Jurisdiction of the Church of God in Christ and the 7th Episcopal District of the Pentacostal Assemblies of the World for a broad church collaborative called His Works United (HWU). The Family Healing Restoration Network (FHRN) is a collaboration between Hennepin County and HWU to provide early, quality and sustained services to individuals and familes in need. Our goal is to reduce the numbers of families engaged in Child Protection Services.